Buk bilong Pikinini (‘books for children’) was established in 2007 and aims to establish children’s libraries and foster a love of reading and learning in Papua New Guinean communities. In PNG there are few functioning libraries outside the school system and most children do not have access to books at all. The purpose of Buk bilong Pikinini is to focus on early childhood learning as a key to literacy. 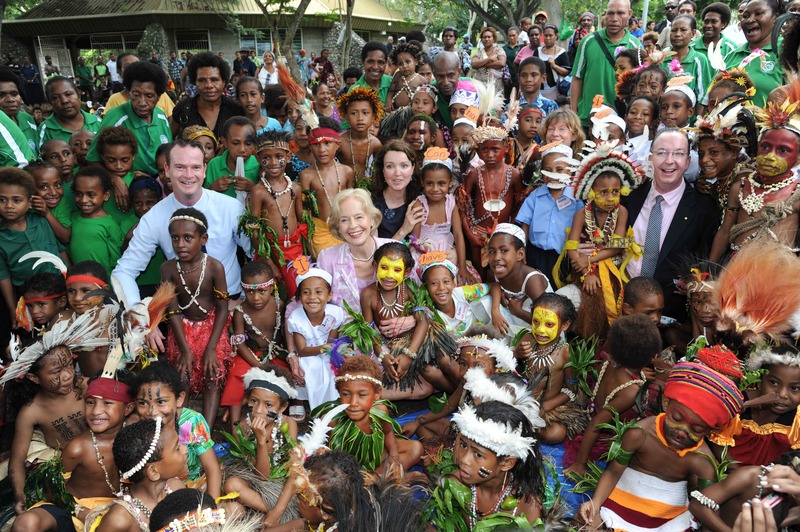 Only half of school-age children go to school and the literacy rate in PNG is well under the 50% officially claimed – in some areas as low as 5%. Buk bilong Pikinini aims to bring the books to the children via the creation of small Buk bilong Pikinini libraries in community based localities such as near settlements, clinics and market places. In partnership with a local Toyota dealer in Port Moresby, Ela Motors, MAMA funded a new Mobile Library designed as a transportable facility to reach remote or marginalised communities in Papua New guinea, containing comprehensive resources and delivering educational programs to pre-primary and primary aged children. The mobile library will enable Buk bilong Pikinini to further work on its outreach to provide vulnerable children in Papua New Guinea with educational opportunities and high quality liteacy materials. Buk bilong Pikinini will be aiming to reach children in villages between the provincial capitals of Lae and Goroka and will enable the organisation to reach thousands of vulnerable children.